Hollywood Lips is a cool color. This is surely the color that you will see on most models and celebrities. It definitely makes an attractive lip color on almost anyone. Hot Seller!!!! Forever Lasting Beauty Ultimate Collection are colors you can definitely trust. Buy 5 Pigments Get 1 Free Buy 8 Pigments Get 2 Free (Note: Write chosen pigment(s) on comment section... Don't add free pigments to cart it will charge). 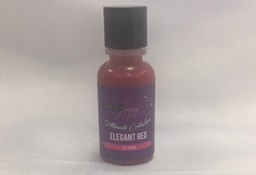 Elegant Red is elegant, bright red by itself for the lips or used for mixing with other colors. 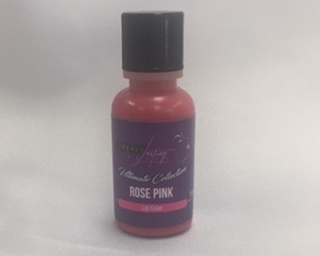 Bottle serves 20 to 25 clients.... Buy 5 Pigments Get 1 Free Buy 8 Pigments Get 2 Free (Note: Write chosen pigment(s) on comment section... Don't add free pigments to cart it will charge). This popular lip color is a nice medium color that isn't too pink or too red. It is a perfect blend of colors. Bottle serves 20 to 25 clients... Forever Lasting Beauty Ultimate Collection are colors you can definitely trust . They stay true to its color... Buy 5 Pigments Get 1 Free Buy 8 Pigments Get 2 Free (Note: Write chosen pigment(s) on comment section... Don't add free pigments to cart it will charge). Warm beauty is a perfect warm stunning color. Beautiful lip color. CeCe's Ultimate Pigments. Bottles serves you for 20 to 25 clients... Buy 5 Pigments Get 1 Free Buy 8 Pigments Get 2 Free (Note: Write chosen pigment(s) on comment section... Don't add free pigments to cart it will charge). 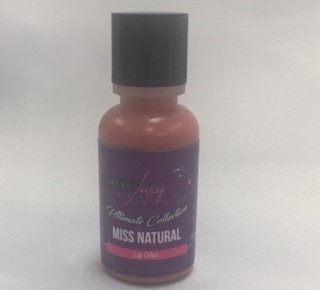 Miss Natural is a popular beautiful, natural looking color. It is the perfect color that most women as for. Beautiful Natural Color and Great Seller!!! Bottle serves you for 20 to 25 clients... Forever Lasting Beauty Ultimate Collection are colors you can definitely trust . They stay true to its color... Buy 5 Pigments Get 1 Free Buy 8 Pigments Get 2 Free (Note: Write chosen pigment(s) on comment section... Don't add free pigments to cart it will charge). Rose Pink is a beautiful bright cool color that can brighten up any lip color with a hint of pink. Bottle serves 20 to 25 clients... Forever Lasting Beauty Ultimate Collection are colors you can definitely trust . They stay true to its color... Buy 5 Pigments Get 1 Free Buy 8 Pigments Get 2 Free (Note: Write chosen pigment(s) on comment section... Don't add free pigments to cart it will charge). 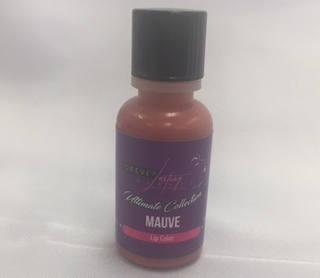 Mauve is one of the most popular cool lip colors. It is a very attractive natural color. Light pink can be added to make a lighter natural color. Bottle serves 20 to 25 clients... Don't focus on the price.. focus on the beautiful true results you will achieve with the best pigments in the permanent makeup industry... Forever Lasting Beauty Ultimate Collection stay true to its color and very easy to implant. Buy 5 Pigments Get 1 Free Buy 8 Pigments Get 2 Free (Note: Write chosen pigment(s) on comment section... Don't add free pigments to cart it will charge). Light Pink is very nice soft color for lips, great for a person that wants a natural look. It can also help lighten up most lip colors and also can be used alone for a light pink color on the lips. Forever Lasting Beauty prides itself with the best permanent makeup in the Bay Area and Nationwide... Want to wake up beautiful? Look no further...Forever Lasting beauty is the one... 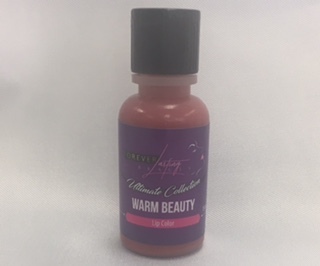 Bottle serves 20 to 25 clients... Don't focus on the price... Focus on the beautiful true results you will achieve with the best pigments in the permanent makeup industry... Forever Lasting Beauty Ultimate Collection are colors you can definitely trust . They stay true to its color... Buy 5 Pigments Get 1 Free Buy 8 Pigments Get 2 Free (Note: Write chosen free pigment(s) on comment section... Don't add free pigments to cart it will charge). 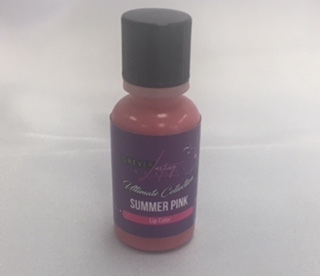 Summer Pink is a youthful color that can brighten up anyone's lips with a sparkle of pink. Forever Lasting Beauty prides itself with the best permanent makeup in the Bay Area and Nationwide... Want to wake up beautiful? Look no further...Forever Lasting beauty is the one... 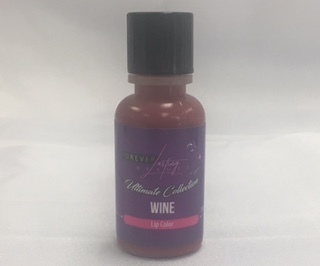 Bottle serves 20 to 25 clients... Don't focus on the price... Focus on the beautiful true results you will achieve with the best pigments in the permanent makeup industry... Forever Lasting Beauty Ultimate Collection are colors you can definitely trust . They stay true to its color... Buy 5 Pigments Get 1 Free Buy 8 Pigments Get 2 Free (Note: Write chosen pigment(s) on comment section... Don't add free pigments to cart it will charge). 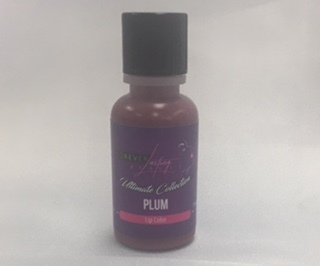 Plum is a beautiful dark color, that can be used alone for a lip color or mixed with colors like Mauve to darken them. Forever Lasting Beauty prides itself with the best permanent makeup in the Bay Area and Nationwide... Want to wake up beautiful? Look no further...Forever Lasting beauty is the one... 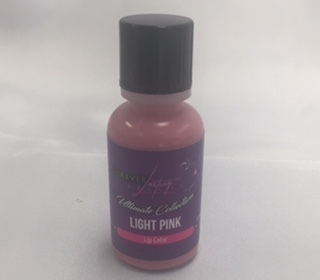 Bottle serves 20 to 25 clients... Don't focus on the price... Focus on the beautiful true results you will achieve with the best pigments in the permanent makeup industry... Forever Lasting Beauty Ultimate Collection are colors you can definitely trust . They stay true to its color... Buy 5 Pigments Get 1 Free Buy 8 Pigments Get 2 Free (Note: Write chosen pigment(s) on comment section... Don't add free pigments to cart it will charge). This pigment stands alone for correcting black or blue eyebrows. It can also help correct/cover-up unwanted lips that have turned a purple color. Buy 5 Pigments Get 1 Free Buy 8 Pigments Get 2 Free You can mix between colors ( Eyebrows, Eyeliner and Lips) (Note: Write chosen pigment(s) on comment section... Don't add free pigments to cart it will charge). Bottle size: 15 ml. 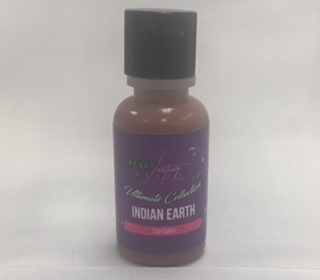 Earth is a fabulous, warm color used for mixing with other colors or for the person that just wants earthy brown color lips. Forever Lasting Beauty Ultimate Collection stay true to its color. Buy 5 Pigments Get 1 Free Buy 8 Pigments Get 2 Free (Note: Write chosen pigment(s) on comment section... Don't add free pigments to cart it will charge). 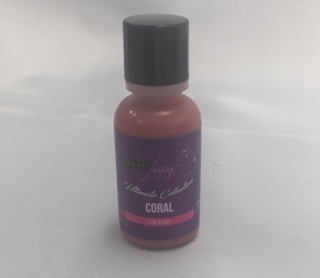 Coral is a warm color, that is perfect by itself on the lips or used to mix other colors like Mauve. Forever Lasting Beauty Ultimate Collection. Buy 5 Pigments Get 1 Free Buy 8 Pigments Get 2 Free (Note: Write chosen pigment(s) on comment section... Don't add free pigments to cart it will charge). Wine is a darker, rich and stunning lip color. Can also be used to help darken other lip colors. Forever Lasting Ultimate Collection are colors you can definitely trust. Buy 5 Pigments Get 1 Free Buy 8 Pigments Get 2 Free (Note: Write chosen pigment(s) on comment section... Don't add free pigments to cart it will charge). Soft Fuchsia is a beautiful color for Hispanics and Asians. Great for lip lining or full lip. Forever Lasting Beauty Ultimate Collection are colors you can definitely trust . They stay true to its color... Buy 5 Pigments Get 1 Free Buy 8 Pigments Get 2 Free (Note: Write chosen pigment(s) on comment section... Don't add free pigments to cart it will charge). Cherry Coke is a burgundy brown lip color, great to accentuate dark lips. Forever Lasting Beauty Ultimate Collection are colors you can definitely trust . They stay true to its color... Buy 5 Pigments Get 1 Free Buy 8 Pigments Get 2 Free (Note: Write chosen pigment(s) on comment section... Don't add free pigments to cart it will charge).